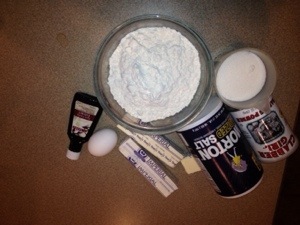 We’re recovering from a major winter ice storm here in Dallas and the kids and I are getting cabin fever. I’m beginning to believe that hell can freeze over :). It’s gotten so bad even our dog is refusing to go outside. But, it looks like today we’re finally going to see temperatures get above freezing long enough to melt the layers of ice on the roads. Yippee! It’s been quite the adventure but I will be happy to see the sun! 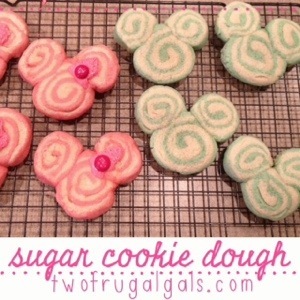 The kiddos and I made these fun Mickey & Minnie sugar cookies to help pass the time this morning. 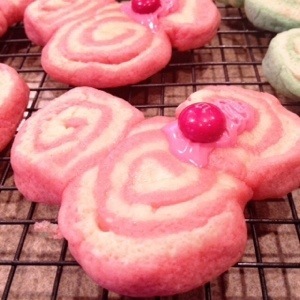 You can click here for the Minnie recipe. 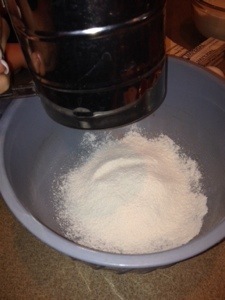 Sift the flour, baking powder, and salt into a bowl, and then set the mixture aside. 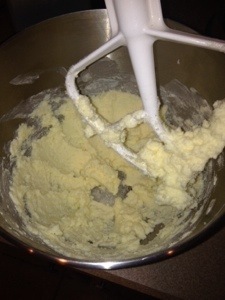 In a large mixing bowl, beat the butter and sugar until light and well combined. 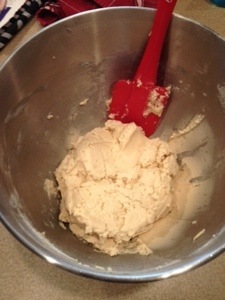 Add the egg and vanilla extract and beat well. wire rack to finish cooling.